I completed several more tasks for my trip today. 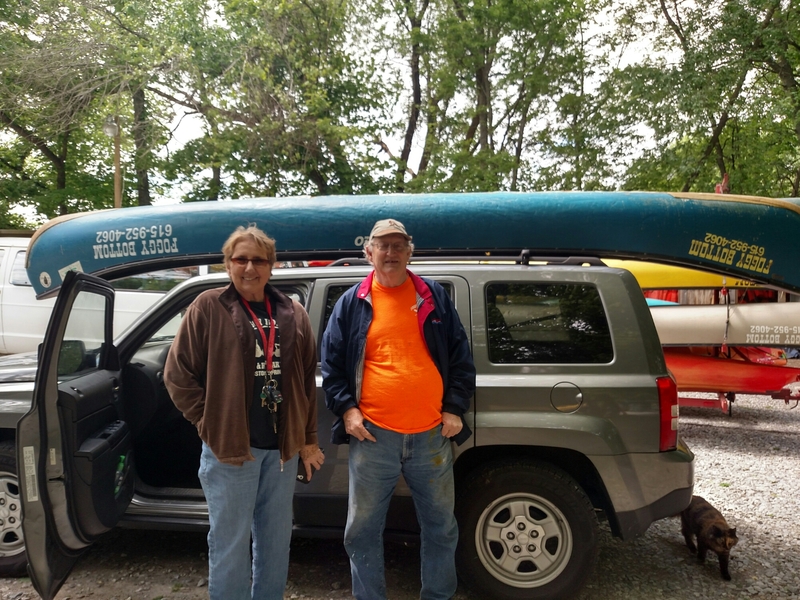 Turned out to be a great day thanks to the generosity of a local canoe rental business named Foggy Bottom Canoe. They’re located just outside of Kingston Springs on highway 70s. A few days ago, I got the idea that I might find a used canoe for a decent price at a canoe rental shop. I called the closest place to me and pretty much got the cold shoulder. Not going to name any names! Anyway, I decided to call one of my favorite canoe rentals down on the Harpeth River, Foggy Bottom Canoe. Pat Hutcherson listened to my story about my upcoming adventure and told me to call her back in about 3 days and she would find me a canoe out back. This morning I called Pat and she said she found something I could use. After visiting my mother, I drove over to Foggy Bottom to pick up the canoe. I was expecting to pay for the canoe, but much to my surprise, Pat donated it to me for free! Unbelievable generosity! I really have no words to express my gratitude. Pat and her brother Dennis helped me load the canoe but not before she donated some money towards the charity I’m fundraising for! Amazing people! If you’re ever down by the Harpeth River and need to rent a canoe, call Pat at Foggy Bottom Canoe at 615-952-4062.